Last year I made 2 Handmade Mother’s Day Crafts for Kix Cereal. I was in the process of moving and didn’t have time to post them on my site. Well Mother’s Day is right around the corner so I thought better late then never, right?? 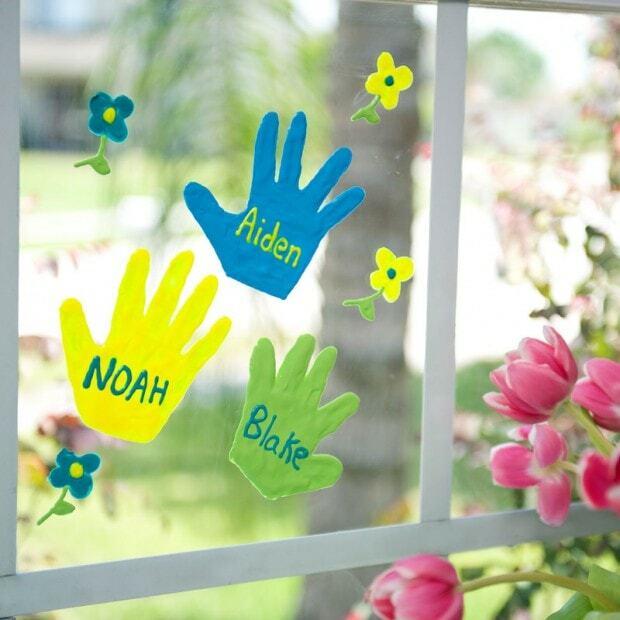 My first project was easy handmade glass clings. 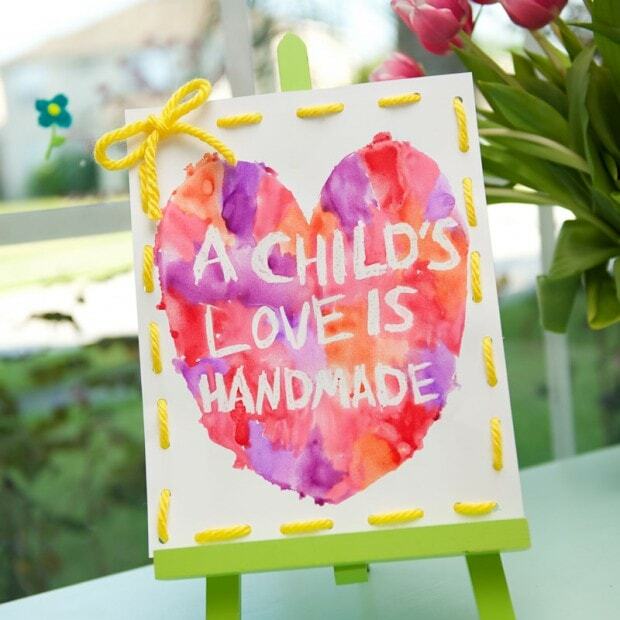 My second craft was “Handmade with Love” Watercolors resist art. Make sure to stop by Kix and see all the great step by step instructions.